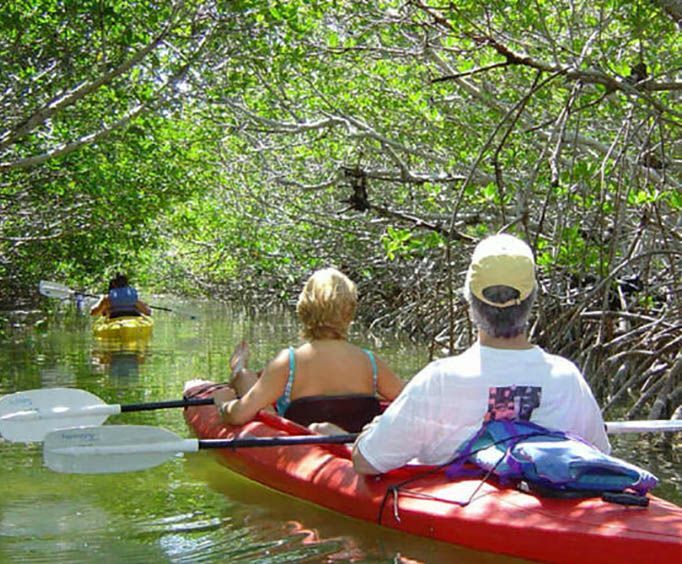 You get the chance to see the mangroves in a nice and comfortable kayak. The Florida Keys are some of the most beautiful places in the world and you will get to spend your time in nature and see it all in a full day. Get away from the hustle of the city and get into nature where you can have hands-on interaction with animals as well as fun and adventure for you and your friends and family. 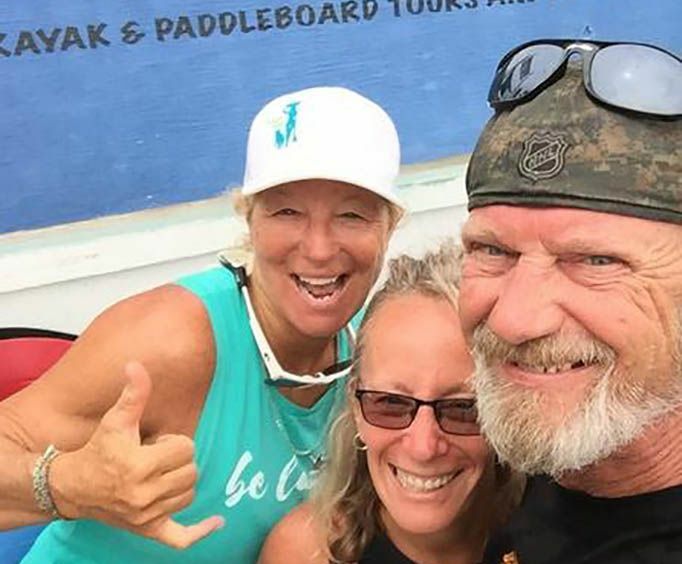 You will paddle through winding mangroves that are only inches deep and he can learn the geological structure of the keys from the comfort of your kayak and you can also have fun with someone who is with you in the kayak as well. It will be an amazing journey that's fun and filled with lots of learning. This is the ultimate adventure for someone who wants to spend the day in peace in nature. It is quite relaxing and fun. You will not go wrong spending your day in a kayak seeing animals you've never seen before and having the time of your life. You will get to see many beautiful and exotic types of fishes sponges and other exotic Marine life that you only encounter in these tropical waters. You will be able to have an adventure that you never forget. This is something you can tell your friends and family about when you return home. It will be an exciting time for you and something that only Key West can provide. There were so many cool animals that you will want to take a lot of pictures and tell your friends and family when you get home. 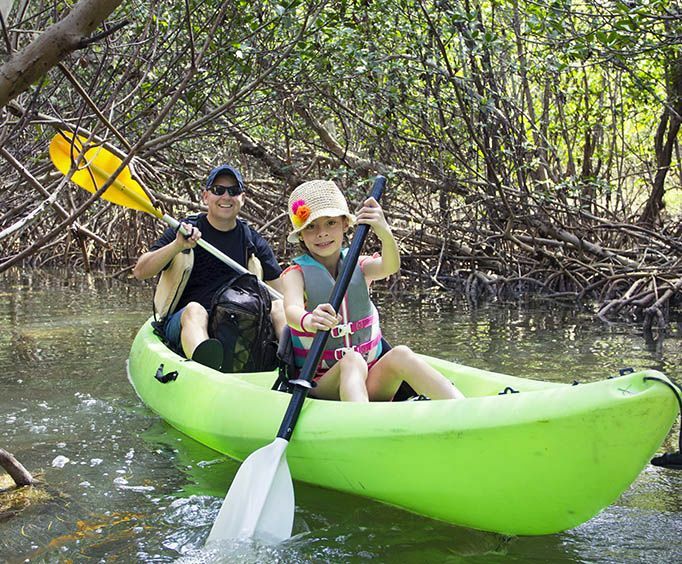 Glide through the winding mangrove creeks and paddle through inches of water, where you can easily view and learn about the geological structure of the Keys along with its inhabitants, all from the comfort of your kayak. Your adventure will give you a chance to view the mangrove environment up close, along with its marine life including tropical fish, crabs, sea stars, jellyfish, sea cucumbers, sponges and various aquatic birds. Every trip leads us on a different adventure! Daily tours. Complimentary pick up from your hotel available (upon request). Pickup time is 30 minutes before tour time. Complimentary hotel pickup and drop-off upon request. 2 hour Kayak Eco Tour departing from Lazy Dog at 10:00 am. Check in is 9:30 am. 2 hour Kayak Tour departing from Lazy Dog at 2:00 pm. Check in is 1:30 pm.